Neck protection is a vital part of any soldiers armour. The Kaspar Steel Gorget does the job with style. 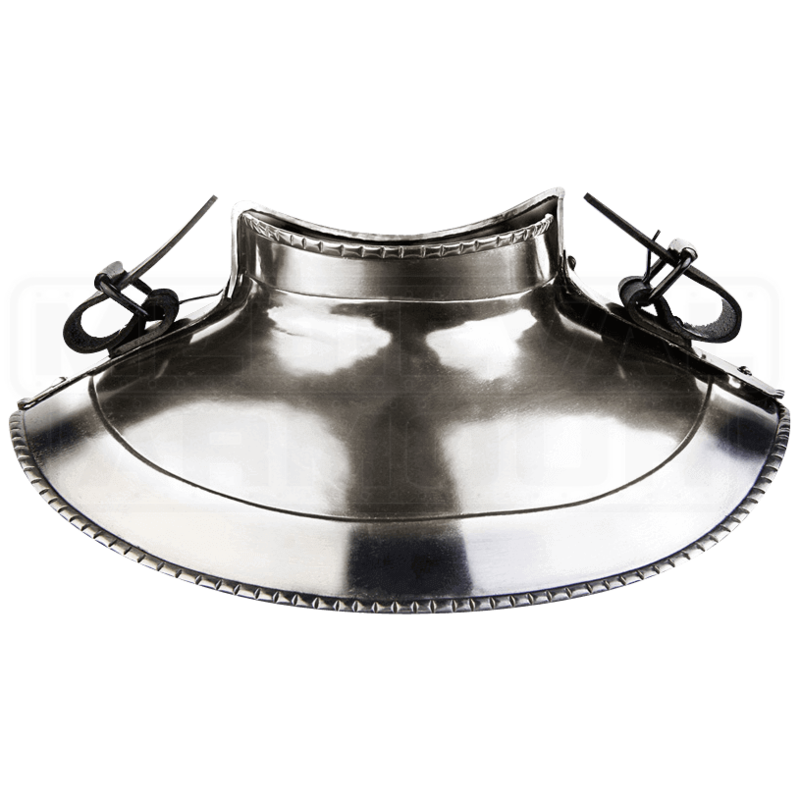 Inspired by the armour worn by 16th and 17th century fighters, this Renaissance gorget is handcrafted from high-quality steel. The high collar guards the neck while the round base rests upon the torso, designed to sit underneath a cuirass, a unique aspect of this plate armour gorget. 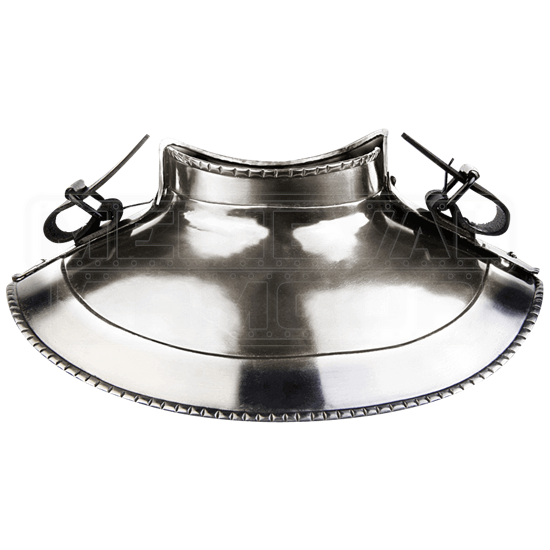 The Kaspar Steel Cuirass is especially designed with a wider neck to accommodate this steel collar. A braided pattern along both the collar opening and lower edge adds understated flare. Leather straps at each side of the neck let you attach a variety of spaulders and pauldrons to this steel gorget, but this armour piece particularly matches the Kaspar Steel Spaulders, sold separately. Ideal for LARP and costume use, the Kaspar Steel Gorget makes a great addition to the armour sets of knights and soldiers from history and fantasy alike. Be sure to wear padding underneath this plate armour neck guard for proper comfort and safety.